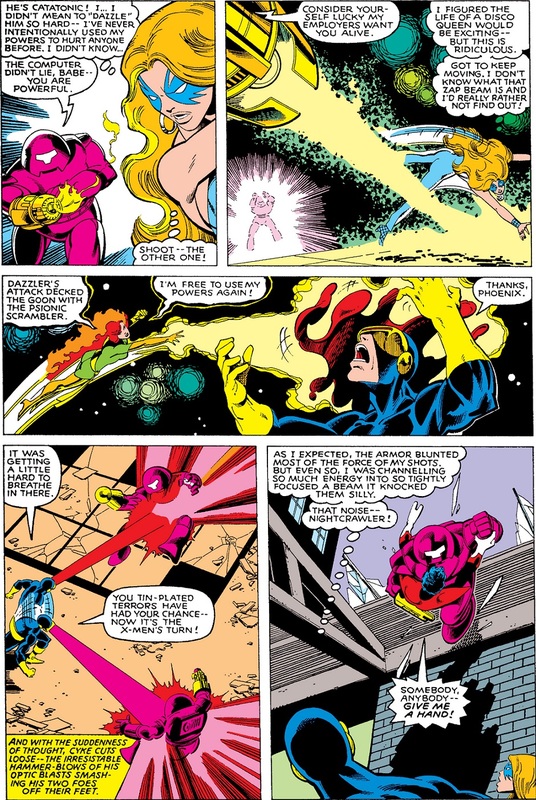 Then you too could have known the power of Magneto, Master of Magnet! It was nice of him to welcome them to die. 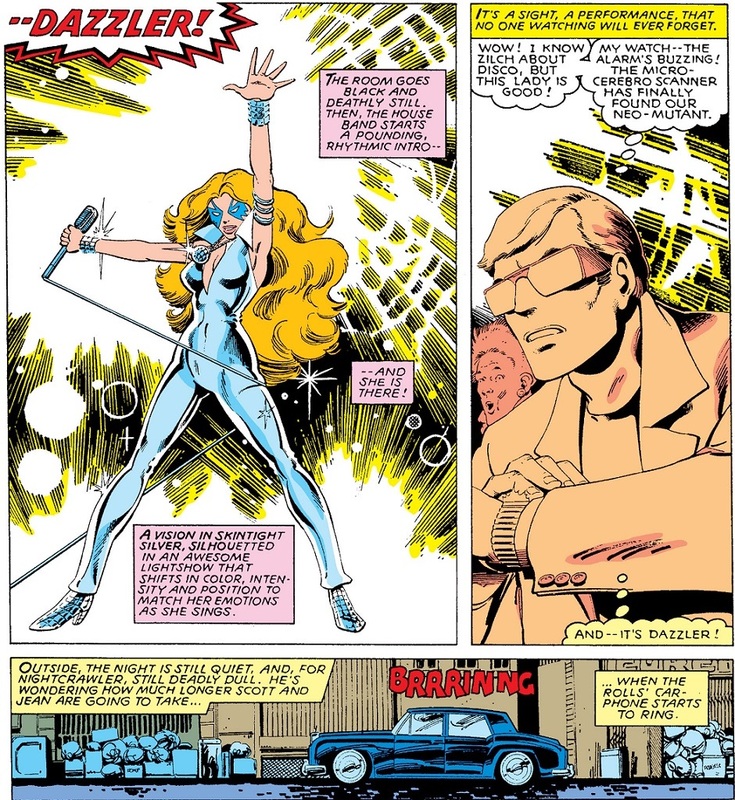 ...Original Dazzler talks like Luke Cage. She's not just into disco, she also watches Blaxploitation films and cheesy sci-fi films too! 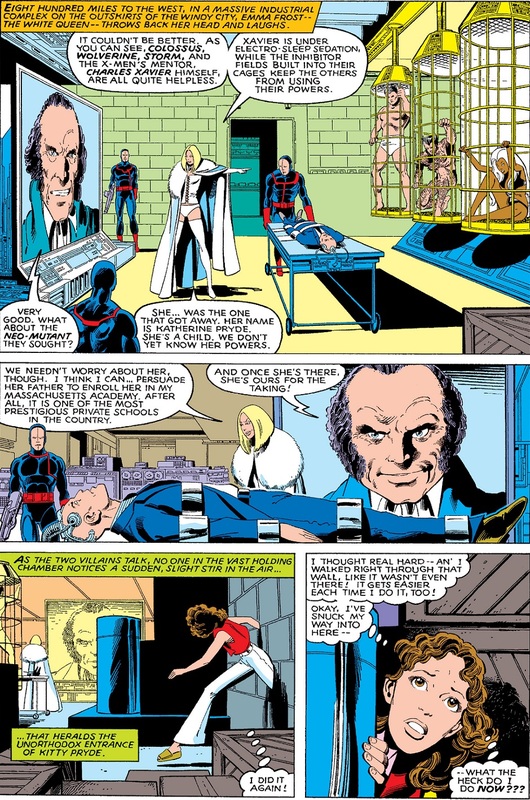 When holding superheroes hostage, it seems Emma Frost has a good idea how to make it....unique. Where are their clothes? Sure is convenient that Ororo has that spare in her fabric. 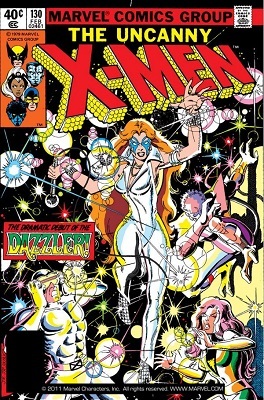 Come to think of it, did Ororo having lockpicks in her headpiece ever get brought up or used again? I didn't realise the Joker was in the crowd at the discothèque. Nice disguise, the pin in the nostrill. Works like Wonverine's eyepatch. "Black and blue all over--but I'm that, anyway." Now see, stripping down Piotr, I can see because, hey, why waste the opportunity. And Storm because Emma's a Claremont villain so she obviously wants to get in there (and did, technically speaking). Stripping down Logan's an utter mystery though. Maybe one of the goons did it before she could tell him not to. To be fair, if he looked like Hugh Jackman getting him out of his clothes would be my first order of business as a villain. 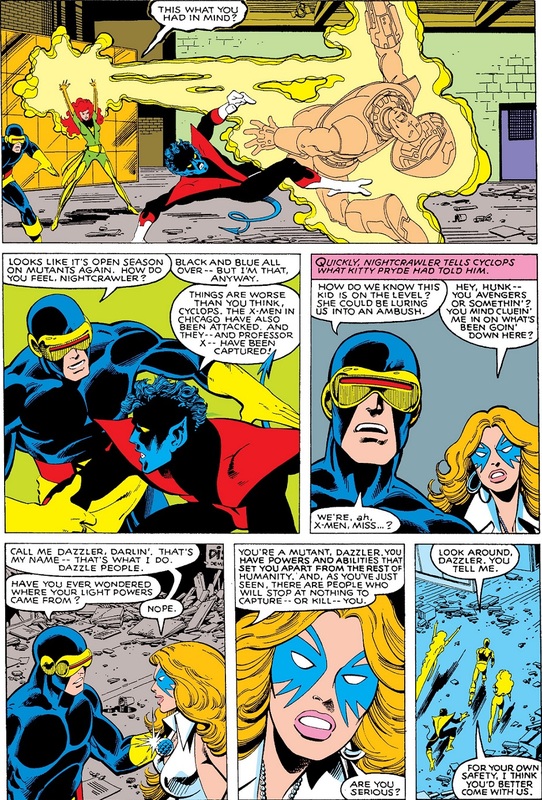 Ah, but this is Logan in the Time Before Jackman, where he was considered by most to be rude, unpleasant, kind'a uglyish and foul smelling at the best of times.